Tata Group, on the other hand, in 2014 sold Tata Steel’s 25-acre land parcel in Mumbai’s Borivali suburb to Oberoi Realty in order to monetise the idle land holding. 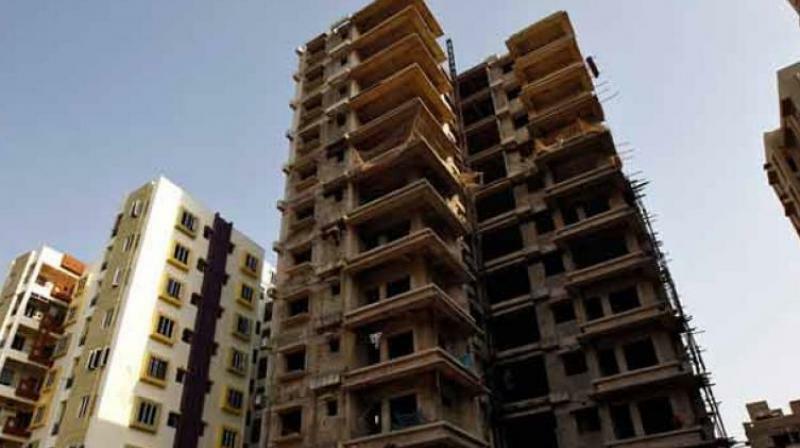 Mumbai: After Godrej Group, other long-established business houses like Raymond and the Birla Group have now entered real estate business by launching realty firms and housing projects to unlock value from their idle land holdings. Godrej Group, which has one of the largest real estate holdings in Mumbai, is developing its idle land parcels through its listed real estate arm, Godrej Properties. As a maiden venture, Raymond’s 14-acre land parcel in Thane area will be developed, considering its locational advantages in terms of social infrastructure and connectivity to other parts of the megapolis. The Birlas have also ventured into the real estate business with the brand Birla Estates and claim to have received good response from home-buyers for their housing project in the Kalyan area of the Mumbai region and in Pune and Bangalore, where they hold real estate. Birla Estates is a wholly owned subsidiary of Century Textiles and Industries. Birla Group has had a strong presence in Kalyan for more than six decades with its Century Rayon manufacturing facility at Shahad and the adjoining colony that houses the employees of Century Rayon. Tata Group, on the other hand, in 2014 sold Tata Steel’s 25-acre land parcel in Mumbai’s Borivali suburb to Oberoi Realty in order to monetise the idle land holding. Tata Group, however, is building its real estate arm Tata Housing by developing several housing projects across the country. “The initial focus of Birla Estates is the creation of a strong brand in real estate, largely through development of premium/higher mid income residential housing in identified land parcels owned by the Group as well as through joint venture with landowners,” Jithendran said.